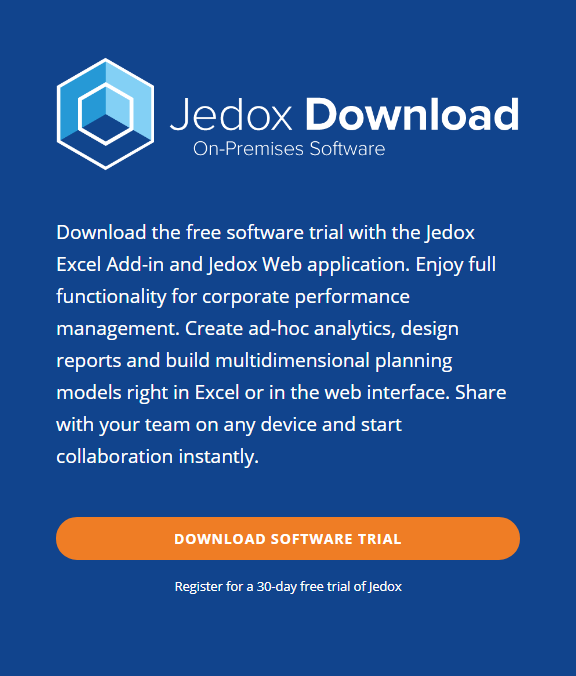 By clicking "Download" you agree to share this information with Jedox and Visual Intelligence. We will use your email address to send you information about business software products. You may unsubscribe at any time. Please see the Data Protection Policy for more information.